"The blackberry, dark-chocolate and walnut aromas are persuasive. Full body, a dense and fruity center palate and beautiful depth and intensity. The tannin texture is exceptional. Great wine. Drink in 2020 and onwards." 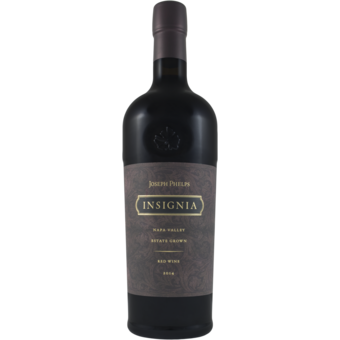 "The 2014 Insignia is a blend of 87% Cabernet Sauvignon, 9% Petit Verdot and the rest Malbec and Cabernet Franc (no Merlot whatsoever). Production was slightly higher at 14,500 cases. This wine has an inky bluish purple color, a big, sweet kiss of crème de cassis, blackberry, blueberry, and hints of graphite and charcoal. It is floral, full-bodied, with tremendous opulence and richness. It is more approachable than the more structured and muscular 2013, but its is certainly no wimpy wine, given its level of extract and richness. It is another beauty, with the oak well-disguised by the extravagant fruit extract. Drink it over the next 30+ years." Insignia is one of the most anticipated releases in all of California each year. 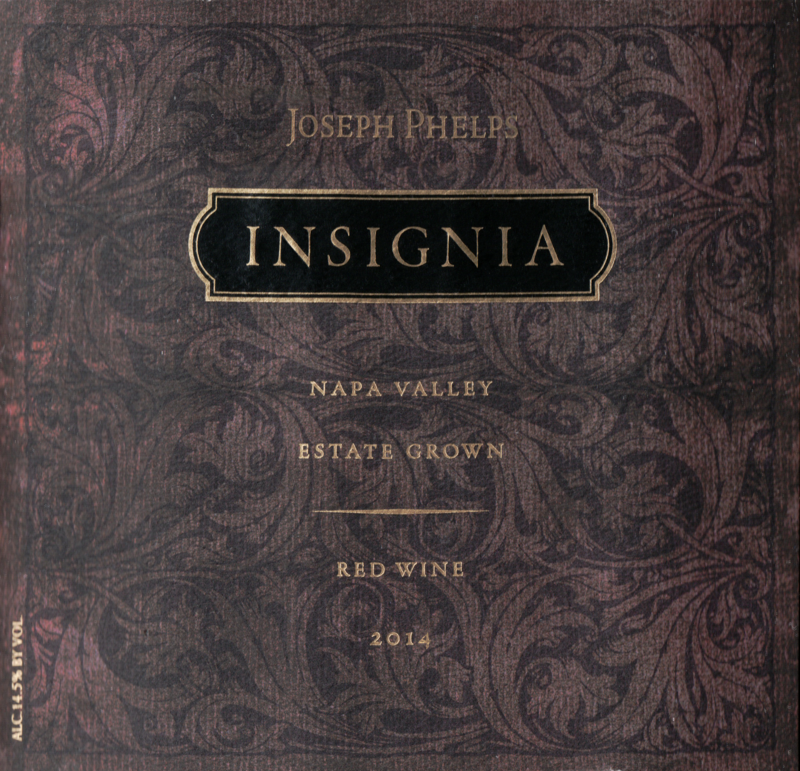 The 2014 vintage was a great one in Napa and it shows in this incredible offering from Joseph Phelps. Collectors get ready. This is a vintage you will not want to miss!